Trapping is not just a heritage in Montana, it has been a big part of the state’s history, and it is a way of life for others. For some people that are retired, it is a way that they can make some extra money to get by. It’s not just retired people that trap, but kids and adults do it. Trapping isn’t just for the conservation of wildlife or to make extra money, it is for kids to learn the heritage that has been passed down to them so they can learn to be self sufficient and live off the land. It teaches the skill to get food without the use of a firearm, it is also a skill that can come in handy if you get stranded somewhere and need to survive. A group of people called Trap Free Montana are trying to pass a law that makes all trapping and snaring illegal on public and state owned land in Montana. As Daniel Thorton a credible author who has written many books over his life, In his one book it says that trapping is very important to Montana’s ecosystem. It is important because trapping controls the predator populations. If the predator population grows out of the control, it will hurt other animal populations as well as farmers and ranchers. Trapping costs Montana farmers and ranchers over a million dollars per year in lost profit due to predators like wolves, coyotes, and fox. Terri Adams who works with the USDA statistical services has been researching the impact of herds of cows and sheep due to coyotes. In 2010 alone there were 12,500 reported cases of sheep that had been killed by coyotes. 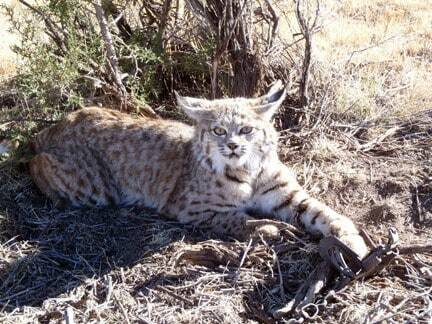 This is why trapping is a big part of Montana because without keeping the predator population under control it’s going to impact farmers and ranchers even more. Trapping brings in $2.7 million per year to Montana’s economy and 96,000 to the conservation to Montana. This is really important because if we pass the law it will be cutting down on the conservation of Montana’s wildlife. By banning trapping on all public lands it is going to affect the amount of licenses bought, and that will be less money to the conservation of Montana’s wildlife. Let’s continue to protect the heritage of trapping not just for its history but for the 2.7 million dollars it brings into Montana’s economy, the $96,000 that is brought in from the sales of licenses, but especially for the conservation of Montana’s wildlife. Trapping on Public Land by Cody is licensed under a Creative Commons Attribution-ShareAlike 4.0 International License.